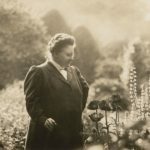 Amy Lowell was an American poet of the imagist school from Brook line, Massachusetts. She posthumously won the Pulitzer Prize for Poetry in 1926. "In science, read by preference the newest works. In literature, read the oldest. The classics are always modern." "All books are either dreams or swords, you can cut, or you can drug, with words." "Happiness, to some, elation; Is, to others, mere stagnation."